Pursue a career as a computer repair technician in Washington D.C. While there are certainly many different tech jobs available in the world, there is always a need for qualified people to perform maintenance and repairs on computer systems, and partly by accident since there are a lot of specialized tasks that need to be completed, and it’s certain that when you bring together a number of qualified information technology professionals, chances are you’ll find more than one who can be a computer repair technician. 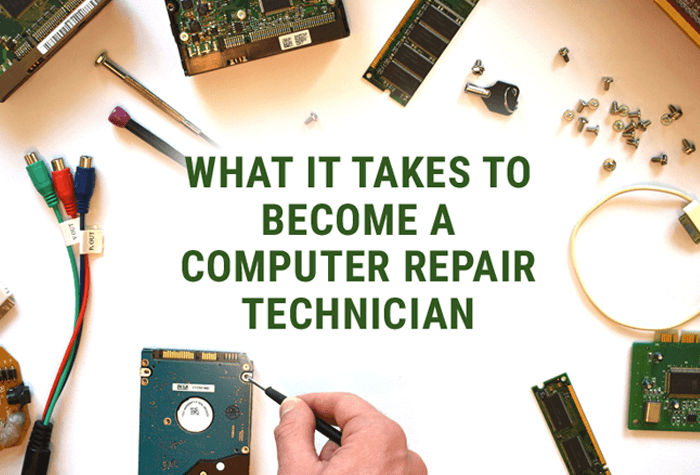 If you decide to make technology your career, you should know a little about what it takes to become a computer repair technician or at least some of the duties you will be performing. The computer repair technician is responsible for installing software and hardware, and fixing performance issues, glitches, and errors as necessary, but many of them also perform other duties. It’s important to keep in mind also that as technology changes, so do processes and standard operating procedures. Every few years a piece of technology emerges that fundamentally changes the way a computer repair technician does his or her job. It’s important, then, that a good computer repair technician stays up on the game and is able to learn about these changes and adapt to them. This is largely done through continuing education opportunities. A computer repair technician may also on occasion be asked to perform other duties related to computers but not necessarily relating to the repair of computer hardware. They may be asked to configure, monitor, and maintain networks and applications like email and virus protection software. Doing this job properly certainly would help maintain security for computer systems. Other common duties for a computer repair technician include planning, coordinating, implementing network security measures, maintaining an inventory of parts for repairs of other computer systems, providing technical support, over the phone, online, and in person, and maintaining network logs that offer details on network functions, maintenance and repairs. Computer repair technicians may also find themselves providing technical support for phone systems such as voicemail, telecom and other services and equipment. Most often, continuing education offers the chance to see a new technology, process, or technique in action, become certified for it, and take the skill back to the workplace. Certifications can sometimes be obtained at places such as trade shows and conferences, or schools that offer training courses. You can also find many certifications online. The important thing for a computer repair technician is that they devote some of their time to learning the latest developments in the industry, perhaps even more so than most other professions, due to the rapid rate of change in computer technology. If you still feel like computer repair technician, or some title similar to it, is a good idea for you, you should pursue your dreams and find a top-notch school or training facility to begin your education. Remember that your base education is vital, but so too is the computer repair technician training you will receive after you are out of school and are employed. Technology moves fast. You must move faster if you want to keep up. Finding employment as a computer repair technician is a fast-paced, challenging job. It requires a worker with patience, problem-solving skills and attention to detail, but who can move and work quickly to meet immediate deadlines for the office staff. An ill-timed computer crash can mean an important project gets scuttled, or a sensitive client takes their business elsewhere. The role of the computer repair technician is vital to the success of a company. If that is an environment in which you thrive, you are good with computers, and you enjoy helping users find their way, you should consider a career in information technology, either as a computer repair technician or in one of the many other potential job opportunities. One of the best things about information technology is that it is so fast-paced, and there is a great deal of mobility in different positions. You can start as a computer repair technician and move into another area as your skills improve, as new jobs open up, or simply when you’re ready for a change.